Yes, seeds, peels and all! Natural colorants can be marvelous in soap! optional 2-3 tbs finely ground cucumber skin - patted very dry with a paper towel after grating - gives little green specks to the soap. Follow the directions in Making a lye solution with alternative liquids to make your lye solution with the cucumber. 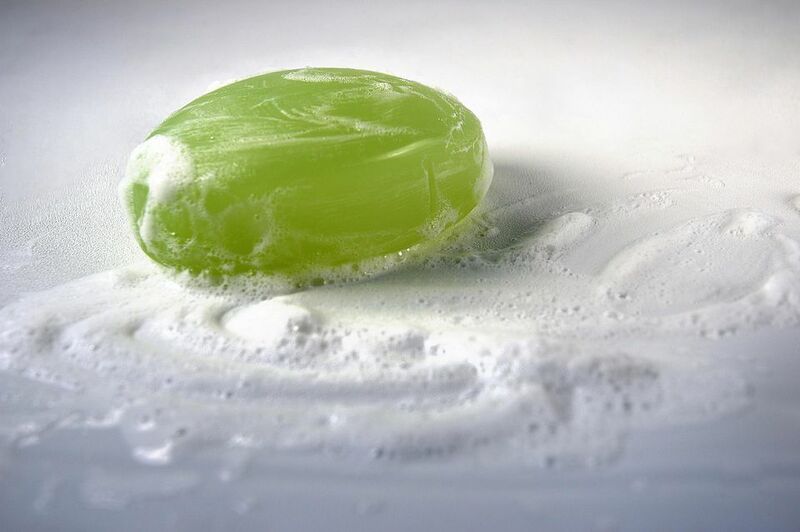 Make your soap recipe using basic soap making instructions. Pour the soap into your mold, wait overnight, unmold, slice, cure and enjoy! There are several cucumber or the ever popular cucumber melon fragrance oils on the market - one of my favorites is at From Nature With Love (Buy Direct). Other natural colorants like spirulina or even green oxide can give a darker green swirl in the light green soap.